Eric Schwartz, PhD, is Associate Professor of Marketing in the Ross School of Business at the University of Michigan, An Arbor. 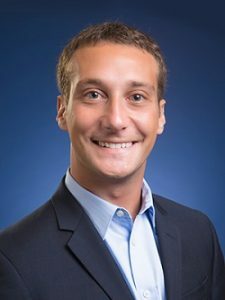 Prof. Schwartz’s expertise focuses on predicting customer behavior, understanding its drivers, and examining how firms actively manage their customer relationships through interactive marketing. His research in customer analytics stretches managerial applications, including online display advertising, email marketing, video consumption, and word-of-mouth. The quantitative methods he uses are primarily Bayesian statistics, machine learning, dynamic programming, and field experiments. His current projects aim to optimize firms A/B testing and adaptive marketing experiments using a multi-armed bandit framework. As marketers expand their ability to run tests of outbound marketing activity (e.g., sending emails/direct mail, serving display ads, customizing websites), this work guides marketers to be continuously earning while learning. While interacting with students and managers, Professor Schwartz works to illustrate how today’s marketers bridge the gap between technical skills and data-driven decision making.